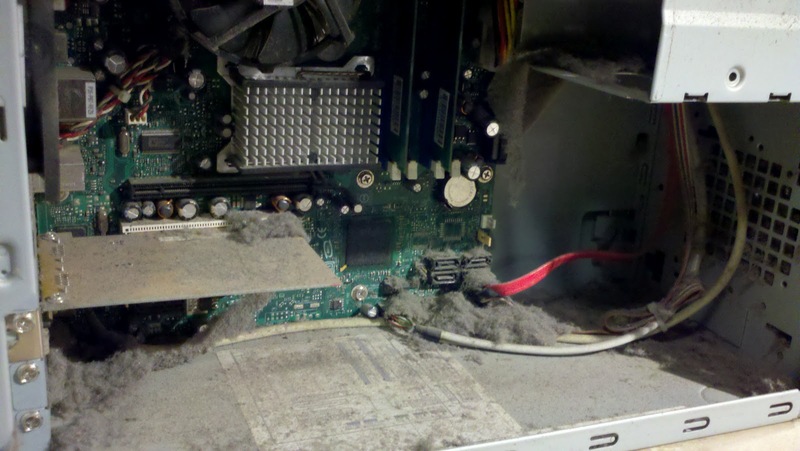 If your PC is running slowly, or the fan sounds like a jet engine, it’s time for a cleanup. Do you know what the inside of YOUR computer looks like? Over time, dust collects inside the PC. Fans in your computer run in order to keep the processor and other components from over-heating. But as they bring in cool air, they also bring in dust, pollen, pet fur, and other pollutants. 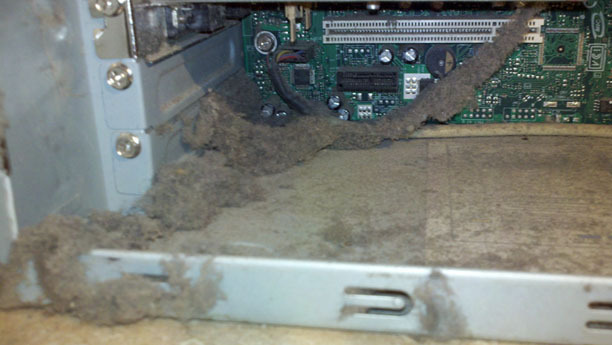 Over time, this dirt can clog the vents and cause your machine to overheat. It may be dust-free on the outside, but filthy on the inside. 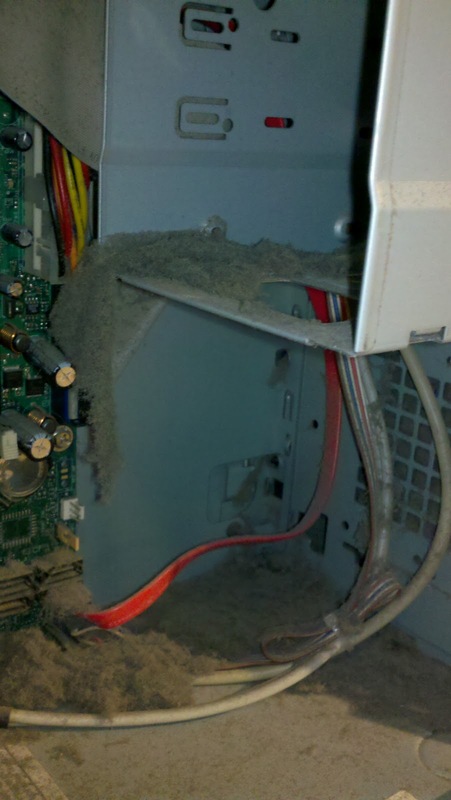 Dust can also bring about static electricity build up inside your computer. Static electricity has the potential to short out components and cause your computer significant harm. 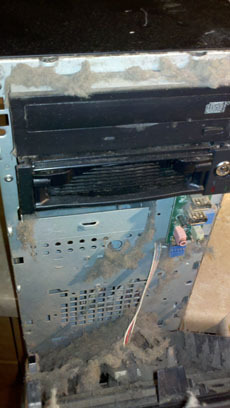 Dirt and dust can cause static electricity. Mobile PC Solutions can clean out the dust inside, re-apply the thermal compound under the processor heatsink and fan. We can also clean up the software so your computer performs at its peak. 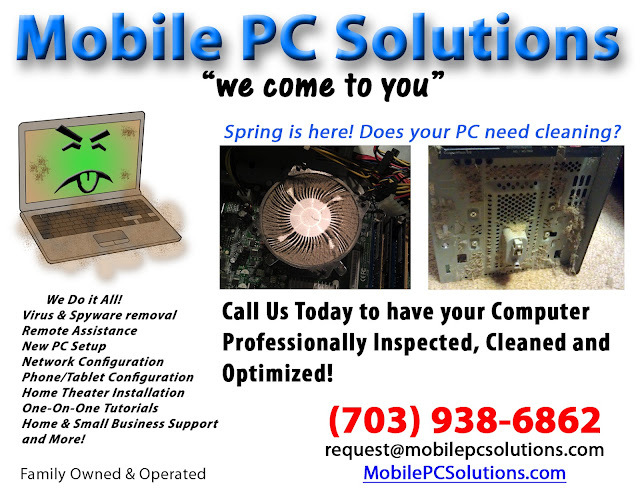 Please call Mobile PC Solutions today for thorough cleaning. Please visit our website for more information about all our services.